Look at the examples. 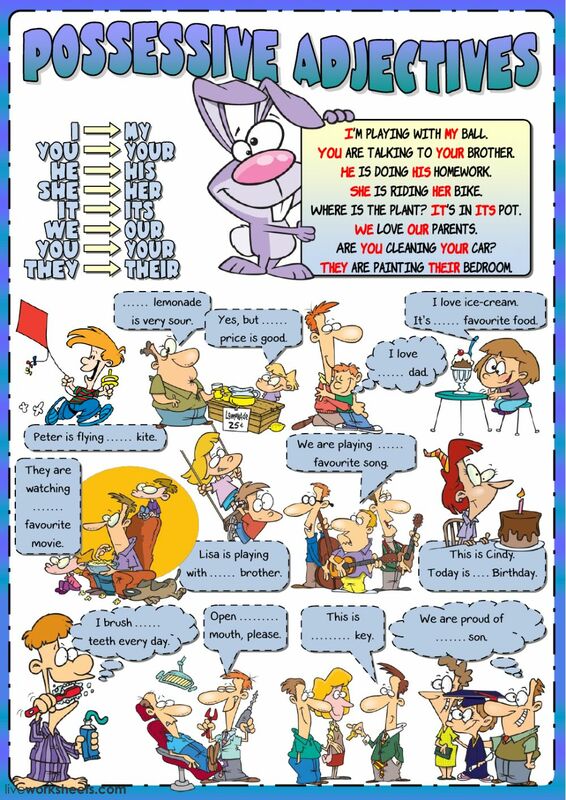 Then fill in the blanks with the corresponding possessive adjectives. Excellent!! Thank you for sharing! So cute! Thank you for creating and sharing!